Counting and recording fruit fly populations helps us understand fruit fly activity in an area. We can use this information to fine tune control programs. Put fly traps in your orchard at: 1 per ha (small orchards) 2 per ha (large orchards). 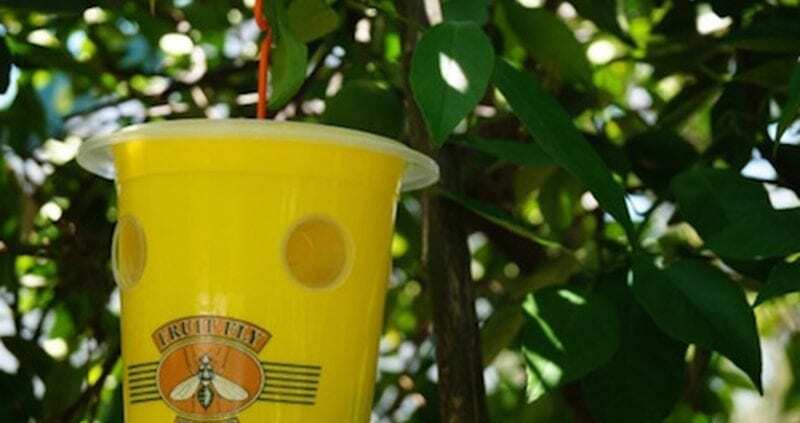 Place each trap in a healthy fruit tree at head height. Each week count, record and remove any flies that have collected in the trap. Replace fruit fly wick every 3 months. The traps only catch male fruit flies. The number of flies caught does not necessarily indicate the size of the population but can indicate population trends. 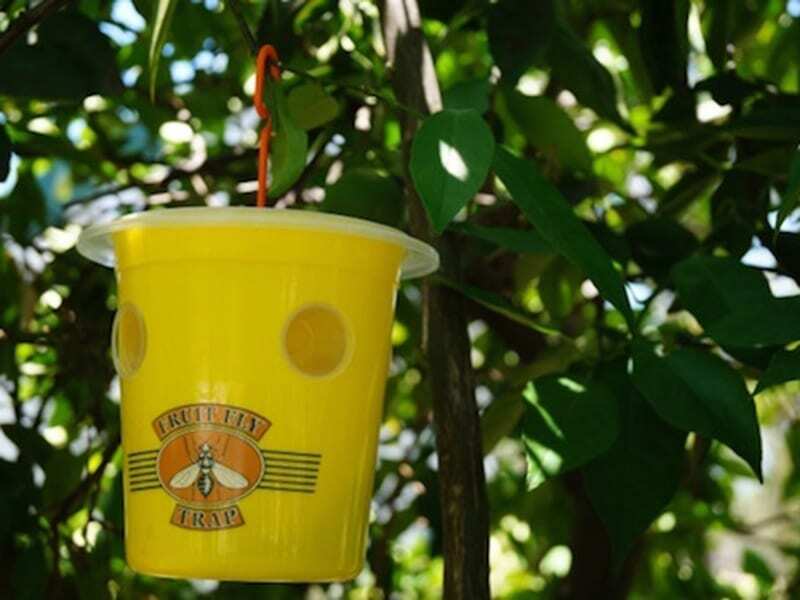 Fruit fly traps do not control fruit fly. You must use protein bait sprays also to achieve this.